Jelly Belly products are instantly recognisable with their red and gold label. The beans first appeared in the USA back in 1965 with the mini jelly bean and the first actual jelly bean appearing in 1976 at a Californian ice cream parlour. The first ever flavours of jelly beans were Very Cherry, Tangerine, Lemon, Green Apple, Grape, Licorice, Root Beer, and Cream Soda. Since then a lot has happened. The jelly Belly jelly beans are sold worldwide with hundreds of flavours and a fair few different packs available. Jelly Belly are now known as Jelly Belly Candy Company. Jelly Belly are the ones responsible for the rather well known “Beanboozled” packs which I actually refused to try over Christmas when my son got a pack. 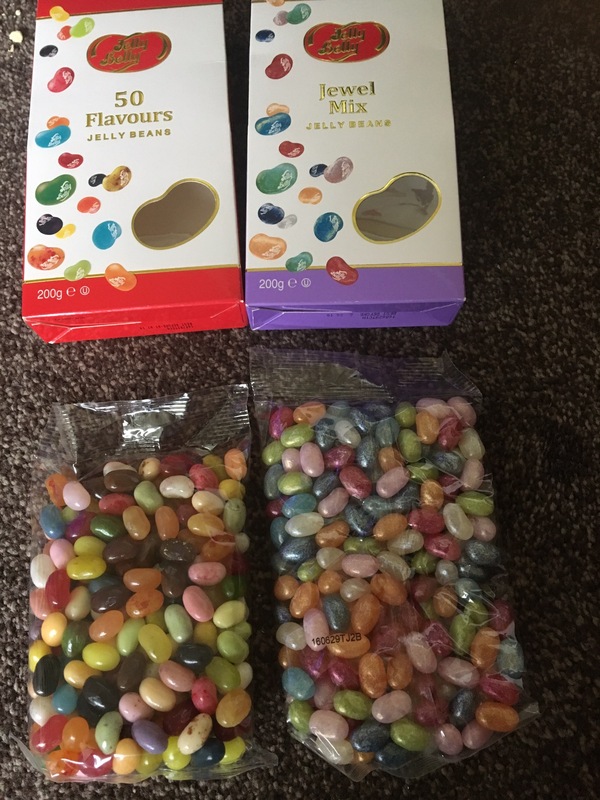 It’s a box containing ordinary looking jelly beans but each colour may not be the same. It could be a normal flavour or something revolting such as rotten egg or stinky socks. YUK! and I hear that they do actually taste like their revolting name too. Kids seem to love them and they seem good for adult parties too. I much prefer the more normal flavours. The thought of tasting rotten egg or moldy cheese just does not interest me. I would much rather stick with these. I have a traditional jelly bean box with a massive 50 flavours. A jewel collection which come with a iridescent sheen a bit like a gem or shiny polished rock. You can see the difference here. 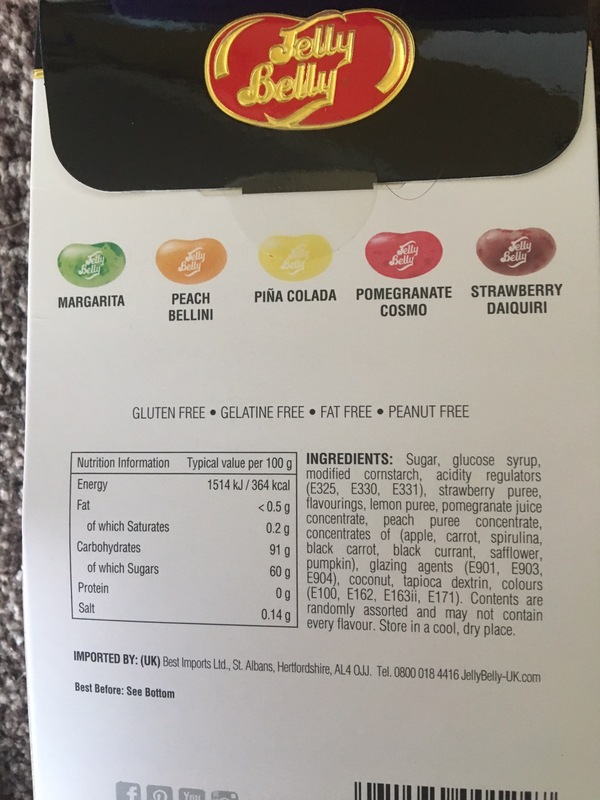 And finally, one I’ve not come across before is the cocktail mix which comes with a few well known cocktail flavoured jelly beans. Jelly beans are good for a sweet fix and also seem to be a popular gift choice and stocking filler for kids. I just hope the Beanboozles don’t make a return this year. Each one of my boxes above is 200g and they can be purchased pretty much anywhere that sells sweets and confectionery. 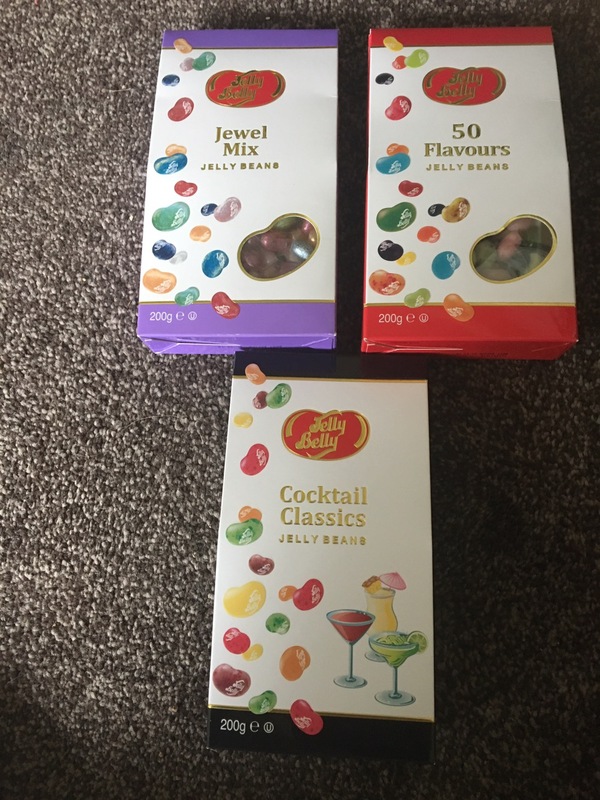 Jelly Belly are giving away a selection of their products to one winner. The prize will most likely be the same products as above (subject to availability). This giveaway will close on May 11th 2017. The only rules are that you have to live in the UK and need a valid email address, Facebook and twitter account. I love Jelly Bellys. I’m American and discovered them as a teenager. The best jelly beans there are. Jelly beans are the best <3 The red ones are the best. I love jelly beans – green ones are the best!